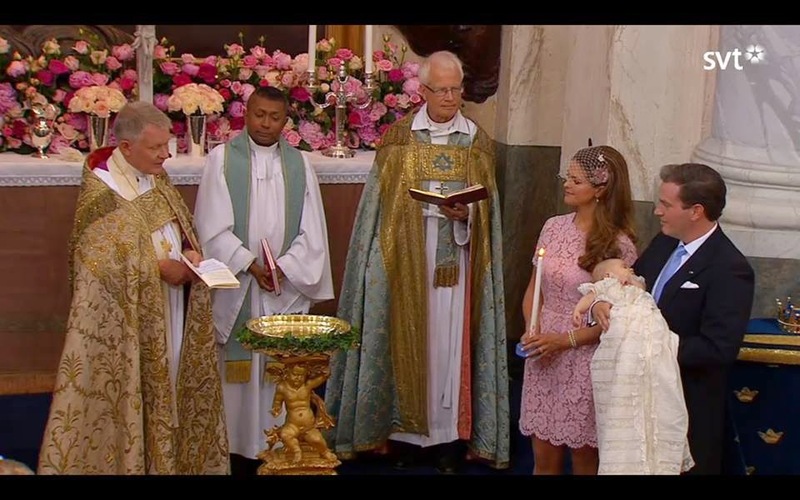 Princess Leonore of Sweden was christened today, 8 June 2014, on her parents one year wedding anniversary in Drottningholm church. 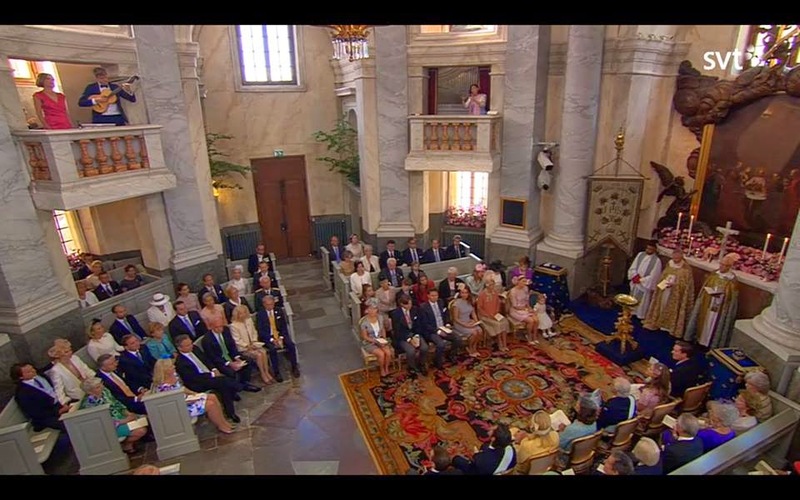 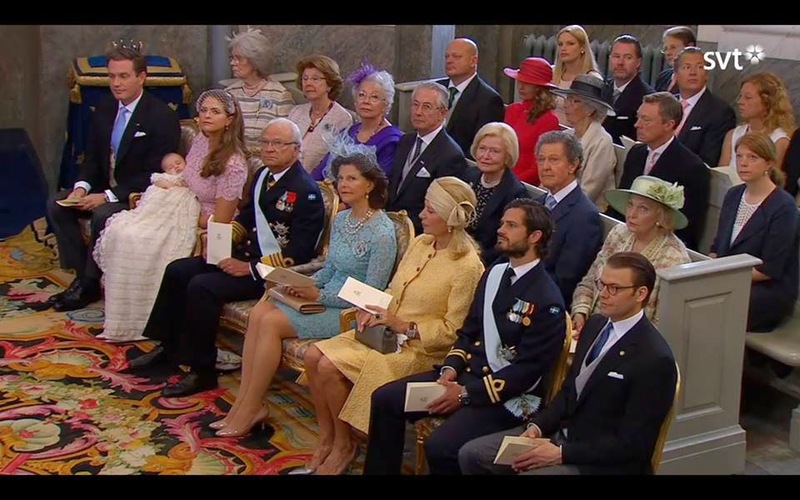 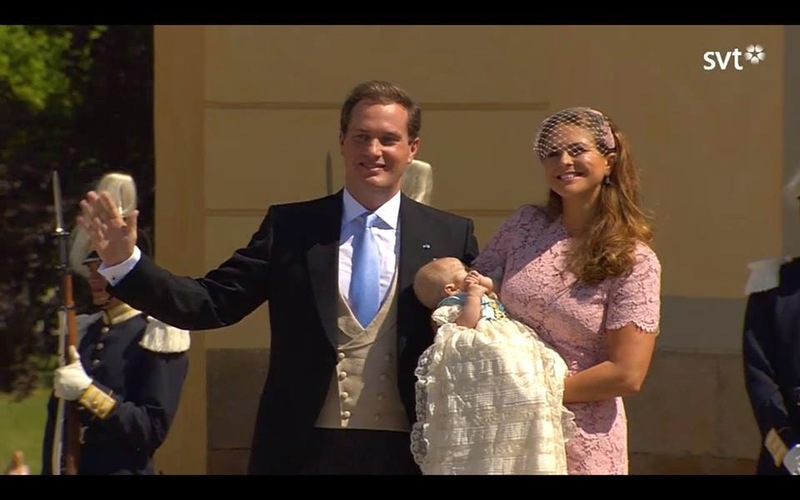 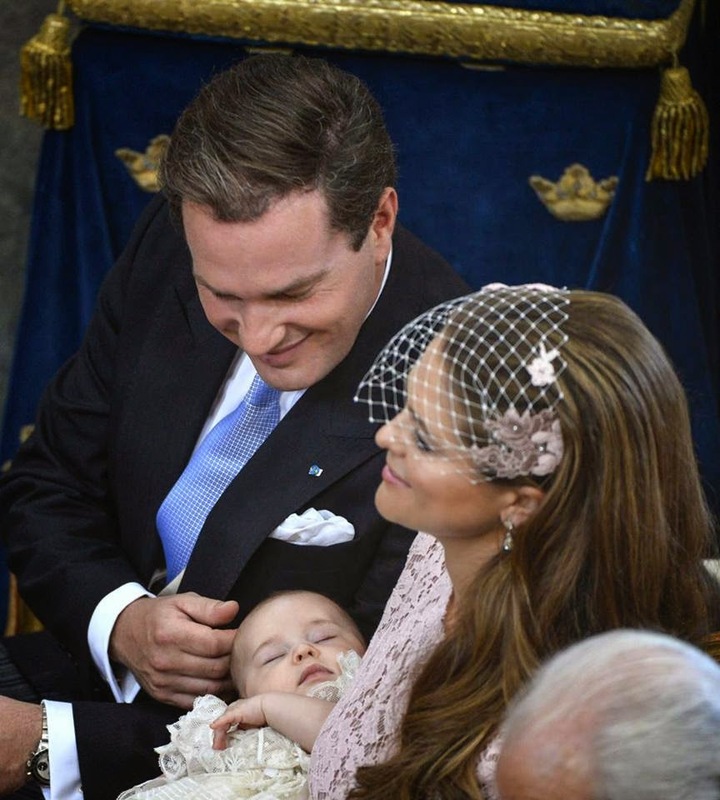 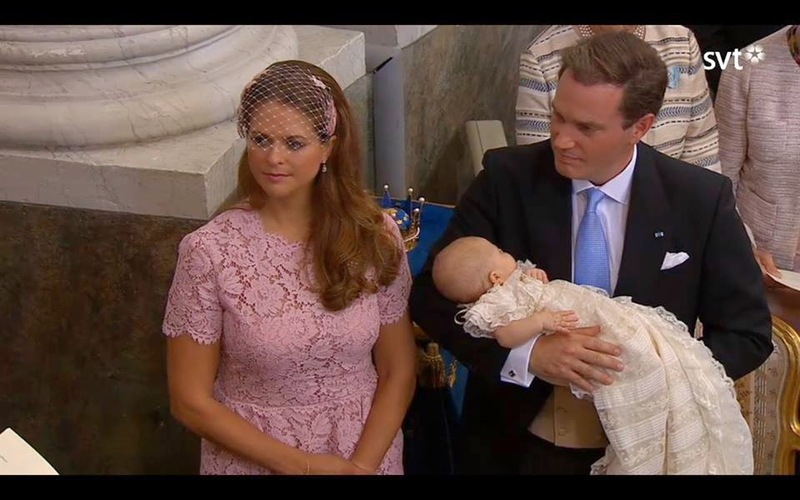 Princess Madeleine held her daughter under christening. 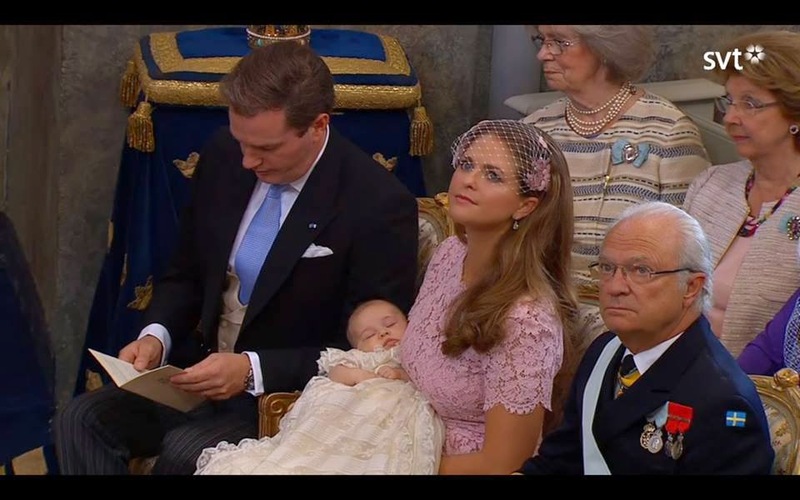 Princess Madeleine wore a pink Valentino lace dress. 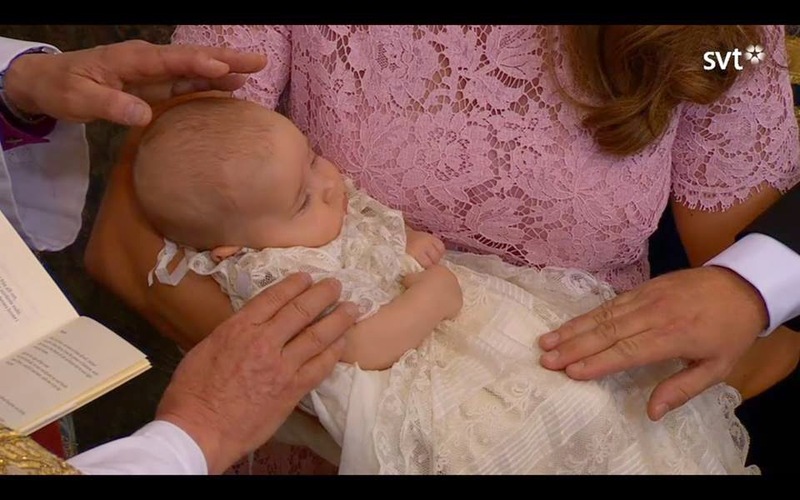 Fitting since she wore a custom made Valentino wedding dress on this day one year ago. 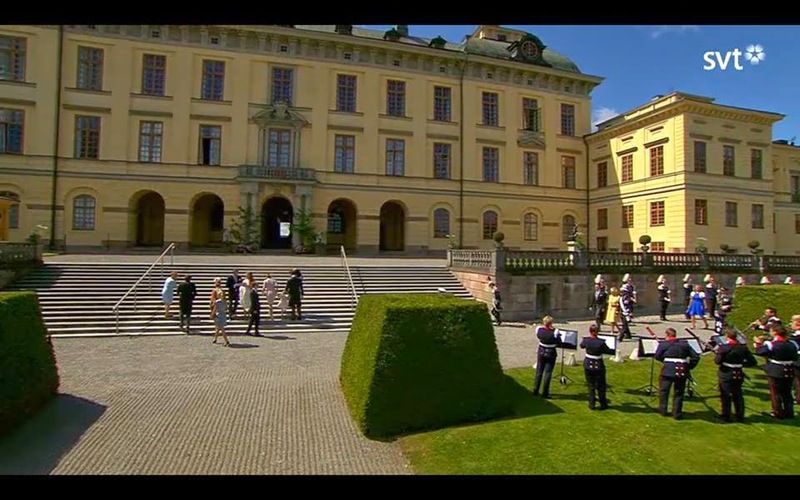 A very romantic tribute to their wedding day and at the same time a very loving tribute to their daughter in the color. 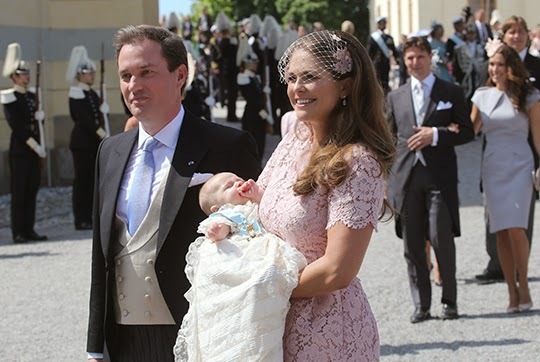 Princess Leonore's grandmother, Queen Silvia, also wore Valentino.